When compared to the “brick phones” of nineties, smartphones have come a LONG way with more features and abilities than we could have possibly imagined twenty years ago. Even though today’s mobiles may be packed with apps, internet access, powerful software, many-megapixel cameras and even fingerprint scanners, don’t be mistaken – we still haven’t run out of improvements! We’re still seeing a lot of intelligent and game-changing improvements in the works when it comes to mobile phones. From helpful features to prevent or fix common mobile mishaps, to stuff that’s just downright cool (holograms, anyone? ); we’ve picked out a few of our favourite improvements that some bright minds have been developing. Hopefully we won’t have to wait too long to see smartphones with these flash new features hitting the market! 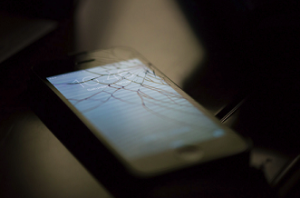 A cracked screen is one of the most noticeable and downright annoying types of damage that can happen to your handset. 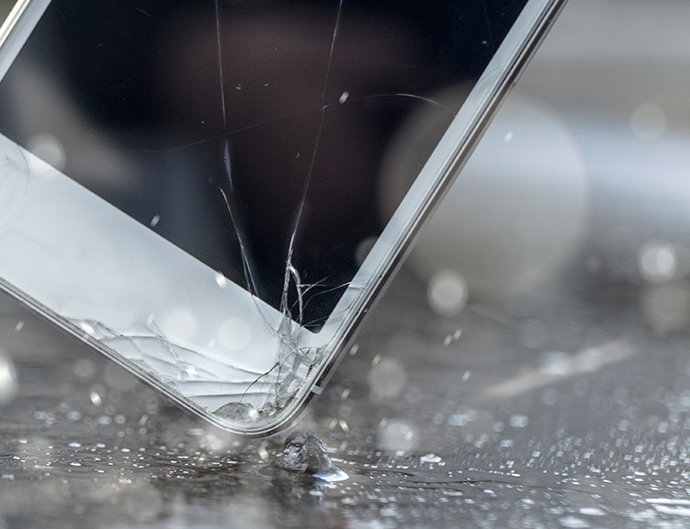 Thanks to some hard-working chemists at the University of Colorado and the University of California in the USA, shattered screens could soon be a thing of the past. They’ve developed a low-cost, transparent material which can stretch to 50 times its original length and conduct electricity. Best of all, this rubber-like substance has the ability to heal itself – one experiment saw it stitch itself back together after being torn in half! It has incredible potential to be used in the manufacturing of mobile phones – who could say no to a phone screen which can heal its own cracks? 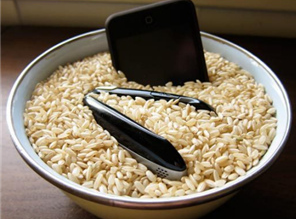 If you’ve ever had the nerve-racking experience of shoving your wet smartphone into a bowl of rice and praying it will absorb all of the moisture, you’ll be pleased to hear that Apple is looking into a very smart way to dry your phone. They’ve recently patented a mechanism which uses sound to force water out of an iPhone’s earpiece and speakers, similar to the Eject Water Mode in the Apple Watch Series 2. Many mobiles on the market these days are water-resistant but parts like speakers and microphones are difficult to make water-proof because they can’t be fully sealed – it they were, no sound could get in or out! Moisture interferes with sound quality, so using a series of tones to push water droplets out is a clever way to quickly return a phone to full sound functionality without having to wait for it to dry. 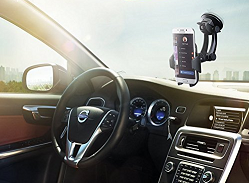 Everyone knows that mobiles phones and driving don’t mix without some serious safety precautions and even those hands-free headsets can be pretty fiddly. Thankfully, there have been some great improvements in voice controls for smartphones, including Apple’s well-known Siri, the upcoming Google Assistant for Android, and Windows’ Cortana. Many mobiles already have Driving Modes which will automatically read out incoming calls and notifications to you so you won’t have to take your eyes off the road or your hands off the wheel. In recent years, there’s been a push from governments and safety regulators to up the ante on these Driving Modes by making them block access to particularly distracting apps such as Snapchat and Pokémon GO. In the end, it will still be up to the driver to act responsibly and switch on this Driving Mode when they get into the car but it has potential to help some people resist temptation in favour of driving safely. There are already a few phones on the market with 3D displays to give your graphics some extra oomph, but developers are already working on taking things one step further with the ultimate 3D: holograms! Unlike conventional 3D displays, which simulate increased depth-of-field on your phone screen, hologram images actually appear in the space outside of your screen. So far, it seems likely that they’ll need to introduce some kind of accessory or viewing stand to get the holograms working properly, so the real challenge will be getting that device small and portable enough to meet the expectations of the average mobile user. 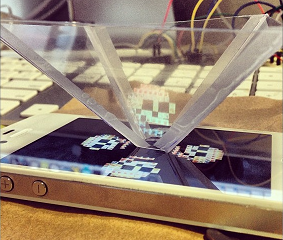 In the meantime, here’s a fun experiment you can try at home to make a little plastic pyramid that you can pop on your phone screen to watch hologram videos on YouTube in 3D! Which new technology are you excited about? Tell us in the comments. Why bother talking about Mobile Handsets when you stopped selling them online something that angered allot of iinet customers and they have left due to that fact and so will I if you guys don’t get your act together and bring back mobile handsets. is there any possibility in the future for elderly people like me living alone in a very bad reception area to have a mobile phone for safety reasons? I reckon I have been lucky to have Gina’s help, it was ages ago now. Thank you, Gina. Is there a website you can suggest which will identify an app as being risky or suspect that I have previously installed on my computer? when is iinet going to be selling mobile phones again? i got mine through iinet and was recently told that you dont sell them any more just the sim. You are saying what great things mobile phones are. If say this why did you get out of supplying mobile phones.It appears to me is that you just want to onsell anther companies product. Or am I totally wrong and that you are looking into supplying mobile phones. Thanks for the interesting article. I was just wondering though, why (underneath the article) we are encouraged to get excited about the Samsung S6 and S6 edge? Surely we have moved on since then and should be getting excited about the S9 and S9+!! I have been with iiNet since their beginning & before with the provider they replaced. Never have I had a grumble concerning the service provided by iiNet. Always curtious & most of the time the staff can be understood on the phone which is a major problem since the “offshore thing” has been introduced. Congratulations iiNet. I also have my mobile plan with them and broadband , + landline plan . Touch wood , haven’t had to ring them for help re Internet, but am worried about when NBN comes in our area. Have friends Mandaruh area, who complain of slow internet speeds and drop outs ..
We recently got NBN and the staff at iiNet were extremely helpful, talked me through the entire installation. My messages went to 101 which I can handle but it is a pain when my wall phone used to do the lot. The patience of staff no matter how trivial my enquiry is, is legendary. I will not change from my ISP after over 7 years of great service.